Update: If you want to uninstall Autodesk Suites 2013 or later, the uninstall tool is already included. This is only for Autodesk Suites 2012. 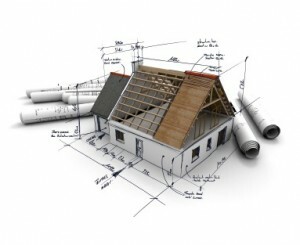 Last week, Autodesk released some of their 2013 products. You may already downloaded or got your installation media. It means one thing for us geeks: it’s time to upgrade! Uninstalling old version is a tedious task. Especially if you have one of the suites. You will need to uninstall many products! Lucky for us, there is an utility to do this with less clicks: Autodesk quick uninstall tool. You can see Edward Winter post how to use quick uninstall tool here and in this Autodesk documentation. Apparently (almost) all Autodesk Suites has this utility. But not for Autodesk Design Suite (it’s AutoCAD Design Suite in 2013). I don’t have it installed on my machine. So it means if we have Autodesk Design Suite 2012, we must uninstall each product manually? Not really. There is similar tool. But you must download it separately. Download PSEB uninstall tool here. If you see the products supported in the list, you can also use this tool to uninstall AutoCAD and some AutoCAD based products. 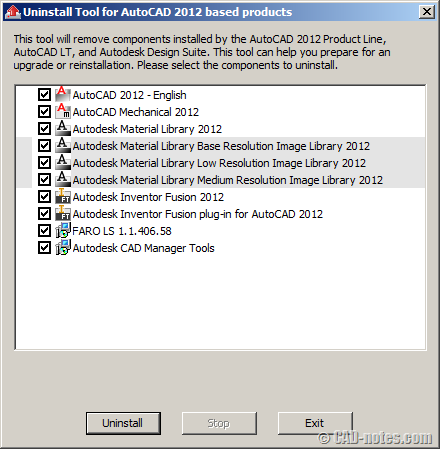 Even if you only have AutoCAD installed, you must uninstall several products. So I believe this will be helpful. please let me know know how to install and uninstall of Autocad 2015 silentlly.